Our home doubleheader on May 31 remains scheduled at San Jose Skate, which is the rink’s last night of operation. We hope you will join us as we celebrate our time at SJS, which has been a fixture in the San Jose community for decades. Tickets are available for presale http://www.brownpapertickets.com/event/665713. The Derby 2.0 junior derby game vs High Country Mountain Derby Girls Junior Hellcats scheduled for Sunday, June 1 will be hosted at Roosevelt Park (900 E. Santa Clara Street, San Jose, CA 95116). The game will begin at noon. Admission is free. The remaining home schedule for 2014 will still be played. The doubleheaders on Sunday, August 24 and Saturday, September 20 are scheduled to be held at Roosevelt Park. SVRG is still accepting new and transferring skaters and officials. Learn more here (http://svrollergirls.com/get-involved/join-the-league/) or contact recruitment@svrollergirls.com. SVRG is home to more than 100 active skaters ranging from 7-52 years of age across three programs. Coaches, officials and regular volunteers are also members of the roller derby league. SVRG currently fields three competitive teams: the all-star Dot.Kamikazes, who compete internationally in the Women’s Flat Track Derby Association (WFTDA); the KillaBytes, SVRG’s B team; and a C-level team, the Hard Drivers. SVRG proudly supports a junior derby program with both positional and full contact options for girls ages 7-17. SVRG’s recreational league, the Circuit Jerks, is home to both new and retired skaters. Silicon Valley Roller Girls is a 501(c)4 organization incorporated in the State of California in 2007. SVRG is committed to quality athletic entertainment and community service while encouraging empowerment, sportsmanship and individuality to young women through the sport of roller derby. The league is a member of the Women’s Flat Track Derby Association (WFTDA). 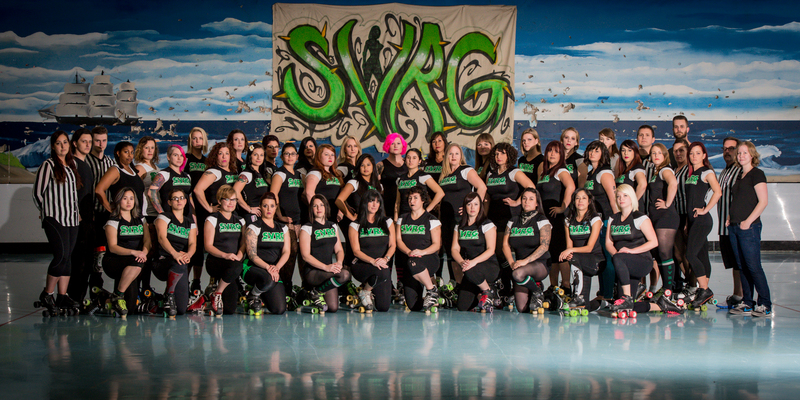 Currently in its seventh year of competitive play, SVRG is ranked 83rd in the world.